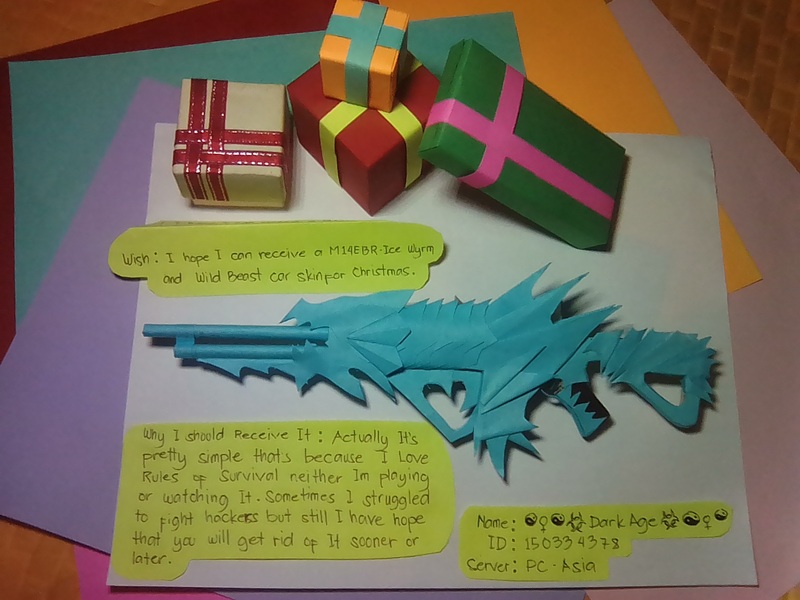 Wish: I Hope I can receive a M14EBR-Ice Wyrm and Wild Beast car skin for Christmas. neither im playing or watching It. Sometimes I struggled to fight hackers but still i have hope that you will get rid of It sooner or later. wow ! Soooo coool! hehehe Awesome design!!!!!!!!!!! 1st to support for me! Wow that's so cool, +1 Support Goodluck!